With Rainbow is Magic’s brief 2019 run coming to a close, there’s a lot to reflect on. The first seasonal event of year four wasn’t what fans expected, especially following Outbreak from 2018. Not every event can be Outbreak, and that’s okay. Year three gave us a ton of off-brand content for Rainbow Six Siege. Outbreak was a massive departure from the overall tone and gameplay style of Siege, but it’s what the community needed at the time. 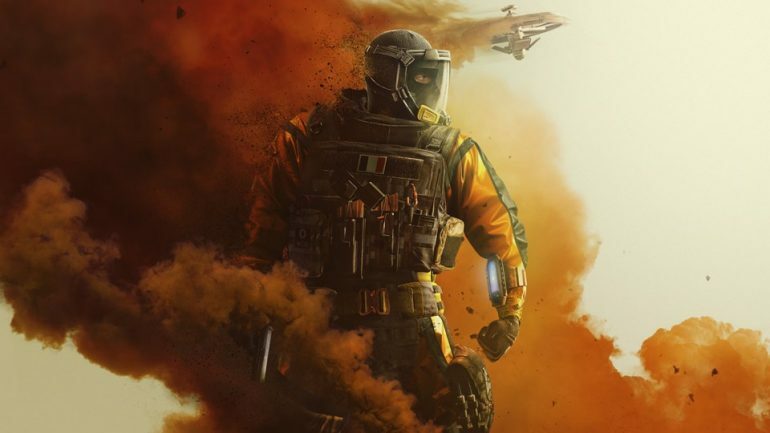 Granted, Outbreak came at a time when fans were still up in arms over Operation Health and its many flaws, but it showed that Ubisoft was willing to try new things. Transforming franchises is a massive part of video game development. If every developer opted not to take experimental risks, then it’d be a pretty stale market devoid of any memorable experiences. For players who have stuck it out with Siege since the beginning, Outbreak was a worrisome event. Making a standalone game mode that’s radically different from the core gameplay was a huge risk, but it paid off for Ubisoft. Outbreak got people talking about Siege in a new way, and that’s why we have events like Rainbow is Magic. While Rainbow is Magic takes Siege in a goofier direction than anticipated, a lot of hard work went into its creation. Bullet holes turned into stars, blood and explosions turned into confetti, and the hostage was a suspiciously joyful teddy bear. All of these features were entertaining, fresh, and allowed players to shrug off some of the usual competitive intensity. Conversely, Outbreak gave players a chance to experience a unique co-op mode that allowed them to have a good time with friends without being bogged down by competition. The effort Ubisoft put into Rainbow is Magic showed in big ways, just as it did during Outbreak. Outbreak was a great addition, but it was also temporary. Rainbow is Magic is another example of Ubisoft showing fans a great effort to keep them temporarily entertained in a new way. The fact that these game modes were temporary is both a shame and a good thing. Siege needs a lot of care to maintain its edge in the market and growing pro scene. If Ubisoft split its attention too much by creating permanent modes as in-depth as Outbreak, it would show in the form of a dip in quality. Rainbow is Magic may not have been Outbreak, but at the end of the day, it was a great way to blow off steam. Not everything Ubisoft does has to be serious, and not everything needs to be permanent. Sure, Outbreak set the stage for seasonal events to come, but that’s its legacy. Players can look back fondly at their time in Outback, just like they’ll look back fondly on Rainbow is Magic. Different doesn’t mean bad, it just means different. Ultimately, seasonal events are still something Ubisoft is trying to get the hang of—and the developer has done a great job so far. Hopefully, people can look at Rainbow is Magic as a step in the right direction and not just an off-handed April Fools’ joke. Ubisoft has come through on some big promises this year, and it’s only season one of year four. There’s a lot to look forward to this year, even if we don’t have all of the details yet.